Tayuya was overbearing and foul-mouthed towards most people, especially Jirōbō, calling him "fatty", as he criticized her over it. She didn't think much of Shikamaru Nara as a leader, but as a weak, useless rat, who ran away when she used her Doki to attack him. 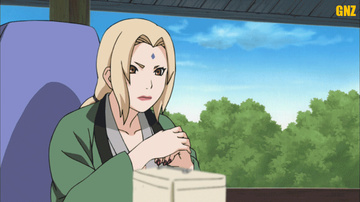 Of the Sound Four, Tayuya was the only member to show a sense of morality, as she berated Shikamaru for sacrificing his team-mates to bring back one person who voluntarily left.